National Bank of Bahrain (NBB) delivered strong financial results and continued growth for the first nine months of 2018 marked by an 11.3 per cent rise in net profit, which reached BD55 million ($146.3 million) compared to BD49.4 million ($131.4 million) for the corresponding period of 2017. Strengthened results were supported by more prudent asset liabilities management. For the third quarter of 2018, the bank recorded a net profit of BD18.2 million ($48.4 million), a growth of 2.8 per cent compared to BD17.7 million ($47.1 million) in the prior-year period. * Operating profit rose by 9.7 per cent y-o-y to BD57.5 million compared with BD52.4 million in the prior-year period (excluding certain one-off income of BD3.3 million in the previous year). For the third quarter of 2018, it rose by 9.6 per cent to BD19.5 million compared with BD17.8 million in third quarter of 2017. * Net interest income increased 18.9 per cent y-o-y to BD64.2 million compared with BD54 million in the prior-year period. For the third quarter of 2018, it increased 20.9 per cent to BD23.1 million compared with BD19.1 million in third quarter of 2017. * Other income increased by 8 per cent y-o-y to BD24.3 million compared with BD22.5 million in the prior-year period (excluding certain one-off income of BD3.3 million in the previous year). For the third quarter of 2018, it decreased by 8.5 per cent to BD6.5 million compared with BD7.1 million in third quarter of 2017. * Operating costs were up to BD31.0 million compared to BD24.1 million, an increase of 28.6 per cent which is in line with the ongoing investments in human capital and technology to support the bank’s transformation strategy. That resulted in an increase of cost-to- income ratio to 35 per cent. For the third quarter of 2018, operating costs were BD10.1 million compared with BD8.4 million in third quarter of 2017. * Total earning assets stayed consistent at BD2,848.1 million compared to BD2,865.7 million. * Loans and advances increased 2.2 per cent to BD1,172.8 million. * Customer deposits stood at BD2,082.5 million compared to BD2,074.5 million. * Total equity grew by 7.6 per cent to BD465.3 million. * Earnings per share during the period increased from 35.8 fils to 39.8 fils. 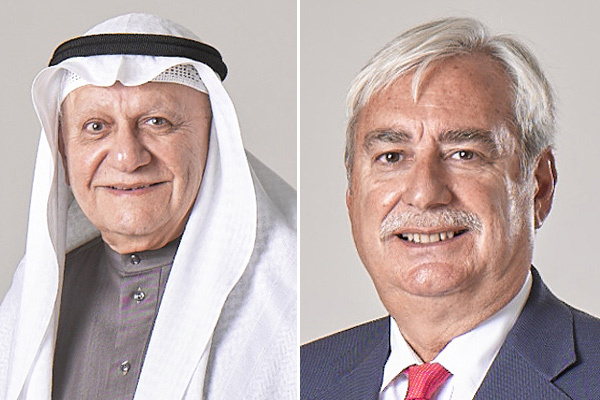 Farouk Yousuf Khalil Almoayyed, chairman of NBB, said: “On behalf of the board, I’m pleased to announce another strong set of results from NBB for the first nine months of 2018. Once again, the bank has achieved solid double-digit growth in profitability whilst simultaneously increasing investments in human capital and technology, the cornerstones of the bank’s transformation strategy aimed at delivering sustainable growth for the bank, our shareholders and Bahrain’s economy in which we are a key development partner.